As we reported here and here, Genetically Modified Foods (GMO), are not only a possible danger for the humans that eat them – but for all farmers, our ecology, our global food system and thus for humanity as a whole. Despite the propaganda from biotech firms like Monsanto, that’s not called scaremongering, but science. In Europe, the debate on the health safety of GMO continues. Corinne Lepage, a lawyer, member of the European Parliament and former French Minister of the Environment (1995-1997) is one of the main actors. She has been chair of the Committee for Independent Research and Information on GEnetic Engineering (CRIIGEN), a group of scientists similar to what EJOLT partner CRIIRAD does for nuclear risks. CRIIGEN has presented results of experiments proving damage to health of rats from GMO food. We consider it a positive development that a respected UK mainstream media – The Financial Times – carried a serious warning article on GMO food. EJOLT’s friend Nnimmo Bassey wrote a blog reflecting on this and other media attention that is certainly worth reading. We share some extracts here and link to his blog. 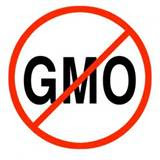 Click here to read Nnimmo’s reflections on recent news about GMO food.